‘Charming’, ‘vibrant’, ‘full of interesting places and people’, ‘cozy’, ‘different to everyone’, ‘the city with dozens of hidden gems’ – this is how local people describe Rostov-on-Don. Rostov-on-Don stands on the banks of the Don River, not far from the Azov sea (32 kilometers), and lies southeast of the East European Plain. The distance from this city to Sochi is about 550 kilometers, to Moscow – 1100 kilometers. Historically, Rostov-on-Don was one of the most important cities in Russia. And now it does not lose its strategic position – it is one of the country’s largest port cities and a big administrative center with a population of 1.1 million people. 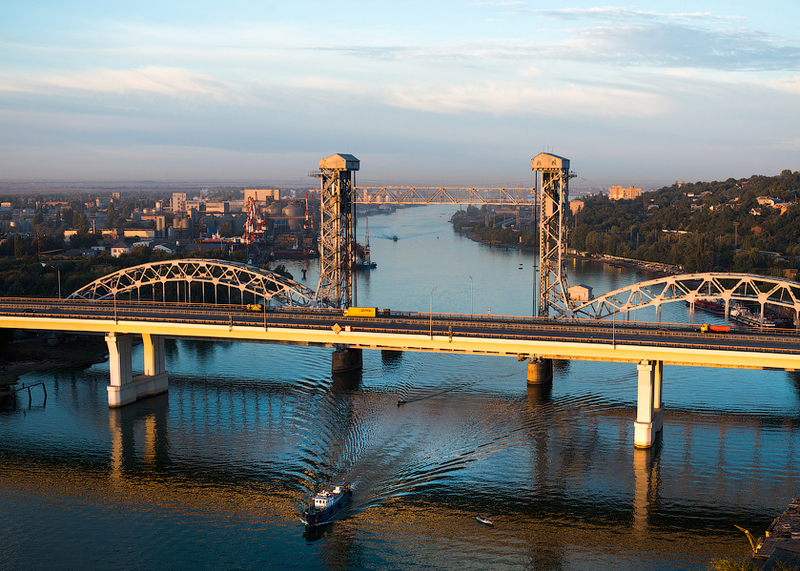 Rostov-on-Don’s favorable geographical location at trading crossroads promotes economic development. The Don is a major shipping lane connecting southwestern Russia with the north. 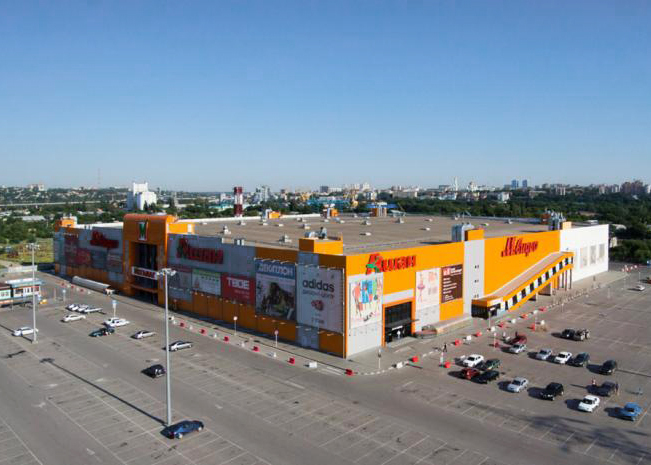 The city can attract guests not only with its long history – in modern times, Rostov-on-Don is experiencing economic growth, numerous start-up companies are establishing headquarters in the city, the median income is increasing, and the city is being transformed into a modern, industrial and technology-rich hub. One important note: don’t confuse Rostov-on-Don and Rostov – these are 2 different cities. The town of Rostov is popularly known to Russians as Rostov Veliky (Rostov the Great) to distinguish it from the much larger Rostov-on-Don. 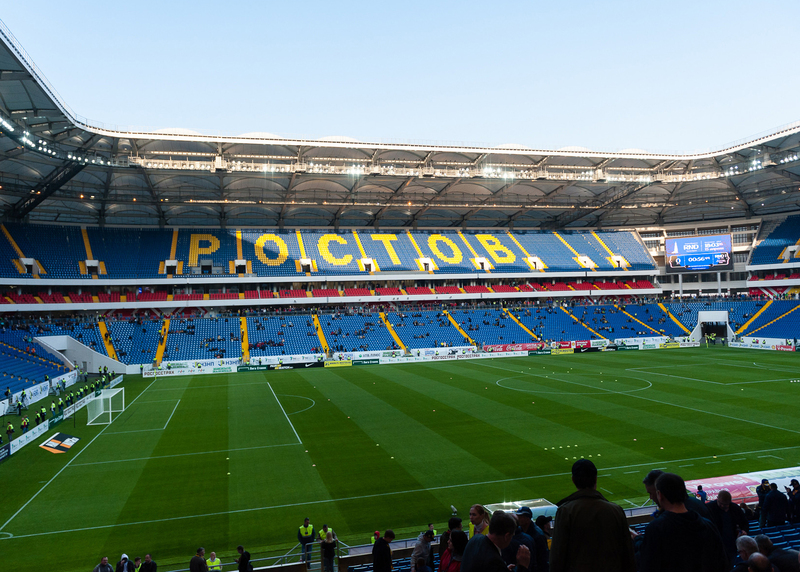 The wonderful city of Rostov-on-Don is going to host 4 group phase matches and 1 knockout phase match at the city’s main brand-new stadium – Rostov Arena with the capacity of 45,000 people. 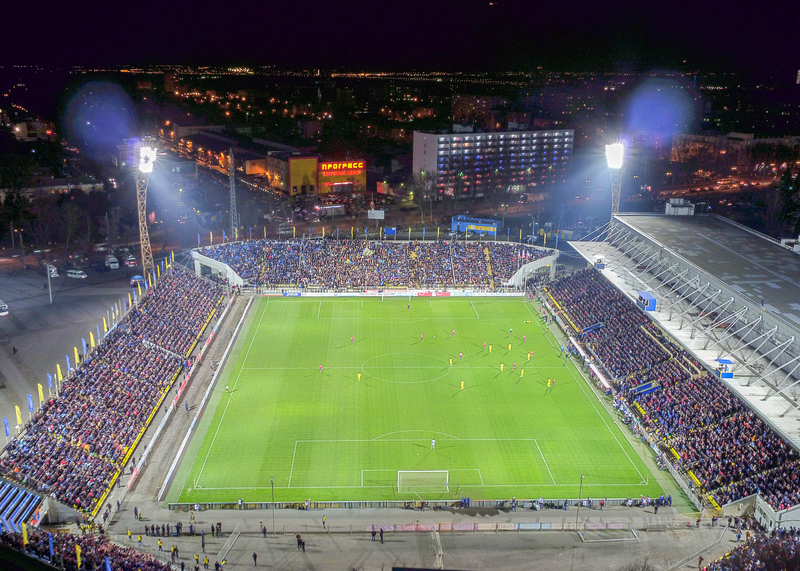 It is a home stadium of FC Rostov, the 2014 Russian Cup winners. 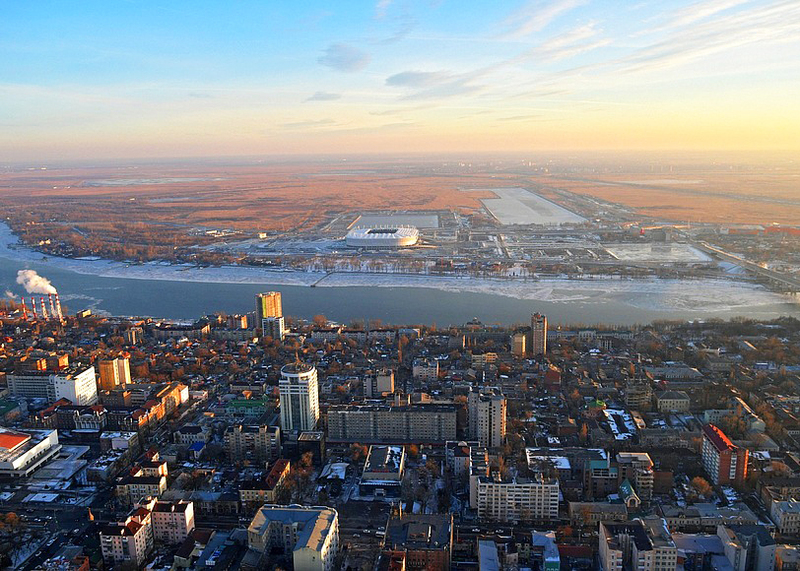 The Rostov Arena is located on the south bank of the river Don not far from the city center. It’s an approximate 15-minute walk to the stadium from the foot of the bridge over the river Don near Rostov-on-Don center. From the northern areas of the city, the stadium can be reached by bus number 516. In addition, bus number 39 stops here, but most of its route is limited to the left bank (it does not run through the center of the city). Both of them connect the Rostov Arena with the railway terminal of Rostov-on-Don (4 stops, about half an hour’s journey). Moreover, tram 1 and 4 run right through the city center from the railway station. From the southern areas the stadium can be reached by train, the nearest railway station is Zarechnaya (Заречная), it is located two bus stops away. Rostov-on-Don is a major transport center, remember that? 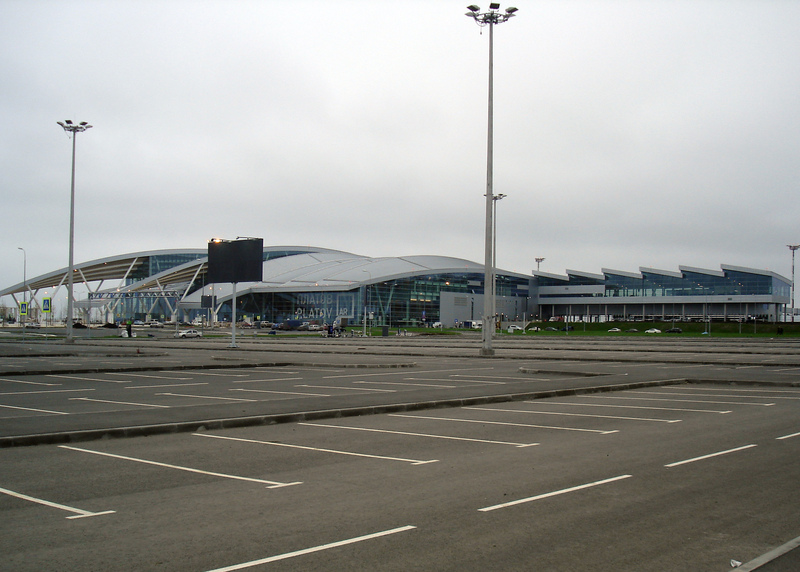 Rostov-on-Don Airport has been moved out of the city in December 2017 and now has a brand new terminal (called Platov Airport) that handles the majority of flights. It is located 40 km north-east of the downtown. About 80% of flights are domestic; however, there are scheduled flights to/from a number of neighboring countries including Turkey, Israel, Armeria, Georgia, UAE, Czech Republic. Therefore, if you want to come from afar, you might need to change the plane in Moscow or St. Petersburg. Flying is normally the cheapest comfortable option of traveling from Moscow or Saint Petersburg to Rostov-on-Don. Trains can be cheaper in summer period of high airfares, but take at least 16 hours from Moscow and more than 24 hours from Saint Petersburg. The transport connection of the airport with the city is provided by two routes of public transport (minibusses) and taxi. Route No. 285 goes along the South entrance from Platov Airport along the Northern bypass road of Rostov-on-Don, then along the M-4 Don highway to Levoberezhnaya street (ул. Левобережная), along it to Privokzalnaya square (Привокзальная Площадь). Route No. 286 departs from the airport along the Northern Entrance to the Prigorodny bus station (Пригородный автовокзал) on October Square (Октябрьская площадь). The fare for minibus No. 285 is 95 rubles, for No. 286 – 75 rubles, which is quite cheap. It is convenient that bus services operate on a 24/7 basis and the interval between buses is 30 – 40 minutes depending on the time of day (but be prepared that they can reach up to 60 minutes at night). Approximate time to the city center is one hour. As for taxi, Platov Airport has its own official carrier called Taxi Aeroservis. But be ready that it will be overpriced and your driver will not know any single word in English. What is more, our trustworthy locals warned us that Rostov-on-Don is home to several unlicensed taxi ‘companies’ which may attempt to scam foreigners. Regular fare (700-1200 roubles depending on the destination in the city and traffic conditions) can only be obtained from mobile apps of major taxi companies (like Uber and Yandex). Another good solution, in this case, is to hire a MeetnGreeter who can arrange you the most comfortable transfer, drive you to destinations or help you to rent a car. If you come to Rostov-on-Don by train, you will find yourself at the city’s main station Rostov-Glavny that usually handles long-distance trains. However, Rostov-Prigorodny terminal can also be your final destinations, as it handles a great number of local routes. Anyway, both train stations are located 300 meters from each other, so the destination will be the same – square in between is a major hub for city transport with several dozens of routes to almost anywhere in Rostov. Downtown is served from there by frequent departures of buses 3, 3A, 7, 70, 80 and trolleybuses 1, 2, 22. 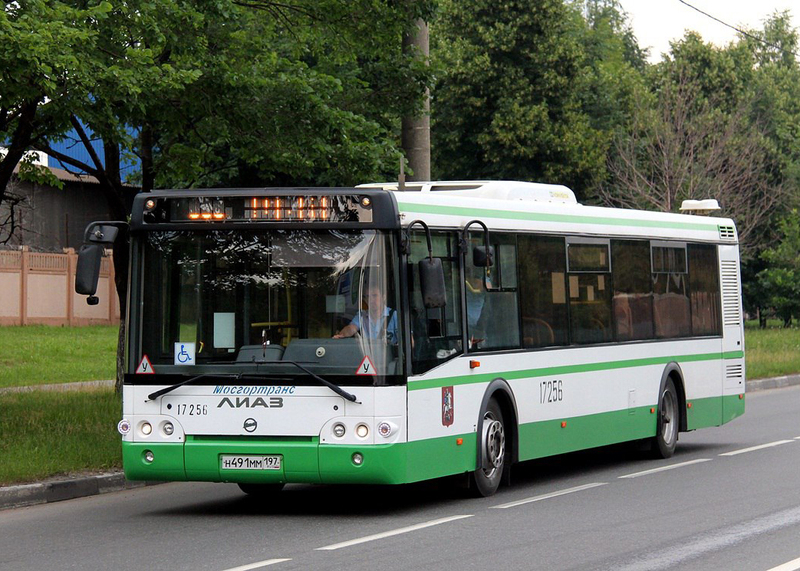 Public transport in Rostov-on-Don includes buses (the easiest way to get around), trolleybuses, trams, and marshrutkas. There is no metro system in Rostov, and the tram system is also quite limited. The best way to track public transport services on a map in real time, know exactly each vehicle’s time of arrival, plan your journey by public transport or on foot is to use a free Yandex.Transport App. Alternatively, route maps are posted on many bus stops; just show up to the bus stop, determine the bus number, and wait. Be prepared that buses in Rostov-on-Don are often very crowded and very hot as well, but are inexpensive (24 rubles per trip). A bonus: you can get full information on public transport from local people in Rostov-on-Don. And if you request ‘planning a trip’ service, you can not even think about it, as MeetnGreetMe assistants will carefully plan everything beforehand for you. As soon as you decide that this city is 100% worth visiting for the World Cup (and it actually is! ), you will have to find accommodation. But it is not as easy as it may seem at first – overpriced apartments, a short list of options and hosts that don’t speak any foreign language (and are not eager to help you anyway). 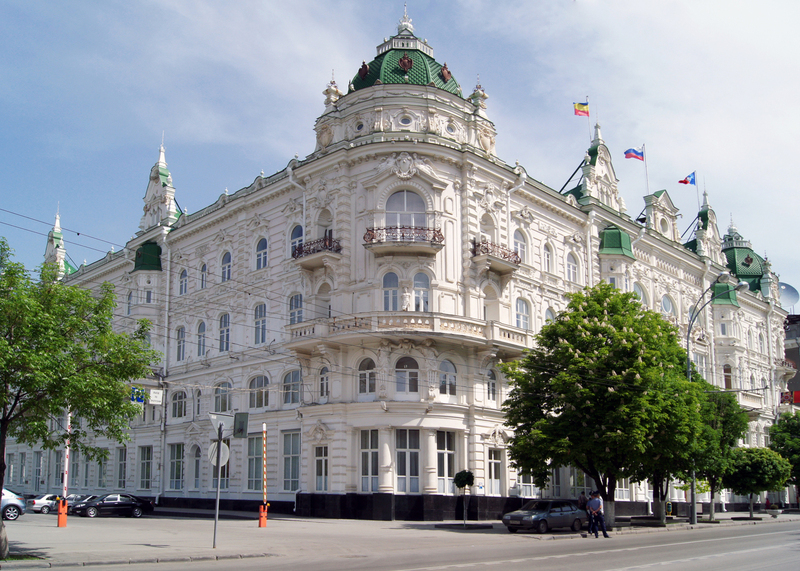 The Hermitage Hotel – guaranteed hospitality and European level of services. If you are not really into guided excursions (think twice! Rostov-on-Don locals can tailor them to your interests and show both major sights and hidden gems), follow our ‘must-see’ checklist. How many points will you cross? Enjoy the embankment of the river, rent a boat or even join a boat party, catch the best sunset view. Come to Don’s left bank, known locally as Levberdon (Левбердон, it is also sometimes called the local Las Vegas) with plenty of nightclubs, hotels, and restaurants, which cater to any taste and budget. Find beautiful old buildings around Pushkinskaya (ул. Пушкинская) and Bolshaya Sadovaya Streets (ул. Большая Садовая). As Pushkinskaya leads into both the City Park (Park Gorkogo, Парк им. 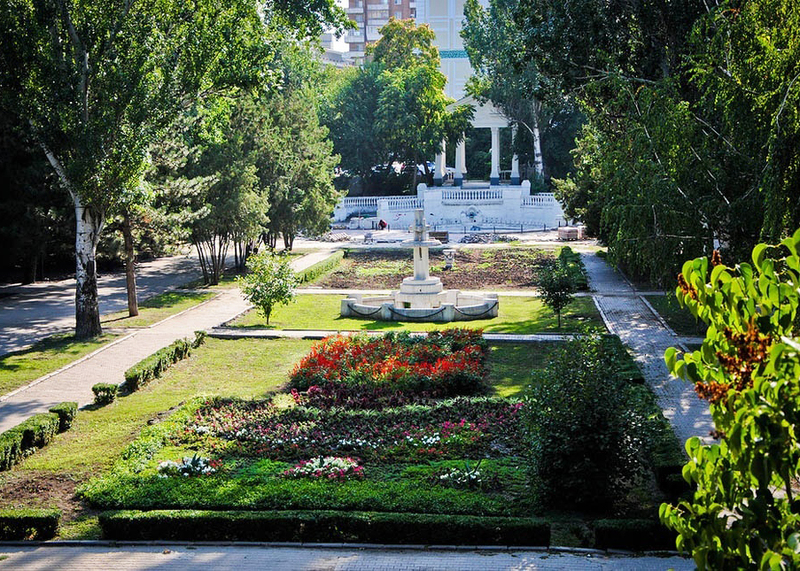 Горького) and October Revolution Park (Парк им. Октябрьской Революции), don’t ignore them either. Pop into Fine Arts Museum. In spite of the fact it features a crazy mix of collections (from the workshop of Rubens, Chinese vases and jewel boxes to Samurai swords and Russian art), locals convince it will be interesting. Visit Rostov-on-Don Zoo, especially if you travel with children. As one of the largest in Russia, the Zoo is home to a staggering variety of animals, including giraffes, camels, polar bears, falcons, reptiles, fish, and simians. Entrance costs only 250 rubles for adults and 100 rubles for children. To get there, take the №6 Bus from the Central Rinok and exit at the stop “ZooPark”. Watch a drama at famous Maxim Gorky Academic Drama Theatre. Or listen to the opera at Rostov State Opera and Ballet (most operas are sung in an original language and ballets are exquisitely choreographed). Don’t forget about Don River rafting – traveling down the river allows you to combine sightseeing, exercise, and relaxed leisure. For dinner – Gavrosh (European bistro); New York (American cuisine with the Russian accent); Onegin Dacha (traditional dishes). Yes, a plenty of great options! Is it high time to order a ‘gastronomic tour’ service? Make up your mind, locals left all the coolest places especially for this purpose. Ask a local: ‘Where to shop’, and you will hear something like ‘just head to the Central Rinok’. Actually, “Rinok” (Рынок) may be translated as “bazaar” or “farmer’s market”. This massive outdoor-and-indoor assortment of tiny shops and booths can be both exciting and intimidating for Westerners. MeetnGreetMe can guarantee, that shopping at the Rinok is one of the most memorable experiences that Russia has to offer for an adventurous tourist. The majority of it is devoted to food and clothing, but you can buy anything here. Yes, anything (though it might take a while to find). If you are afraid that the language barrier may arise, ask a local to take you there and show you how it works. For calmer and more Western-type mall experience, check out the new Megamag Shopping-Entertainment Complex on the south bank of the Don River. For more luxury experience, there are several upscale department stores (like TSUM). A special suggestion for those who are in love with history and ruins: go to Tanais (Танаис) that was an ancient Greek city in the Don river delta. Visit the archaeological museum and see the remains of the fortress walls and towers along with local old buildings. The second option is the Kerch Peninsula. 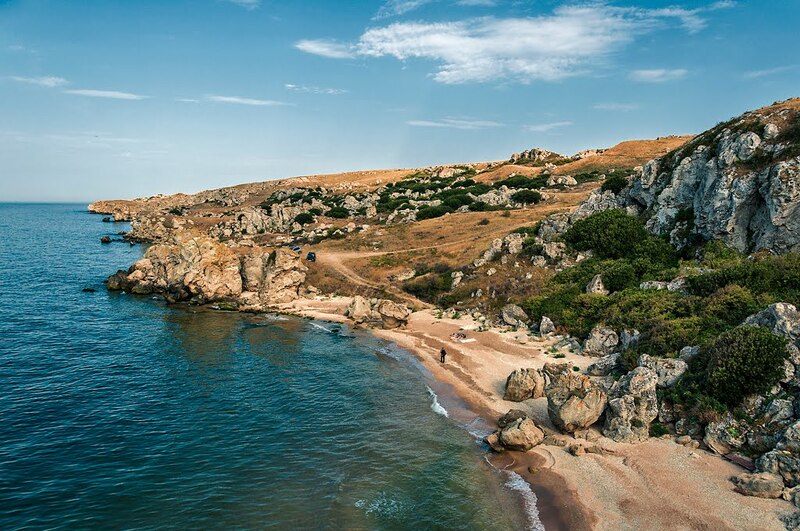 It is probably the only place in the Crimea, where magnificent landscapes, an azure sea, and velvet beaches are not the main attractions. Kerch is the Crimean peninsula’s oldest town and its main treasures are its monuments of history and culture. Stroll along ancient streets, see centuries-old ruins, buildings, and statues. Then head to Kerch’s outskirts – Adzhimushkay settlement. Sounds exciting? And in case you want to turn off the beaten tourist paths, order a personal guiding service from one of our English speaking locals. They know the city and the region inside out and they can simply create a route tailored to your interests and tastes. 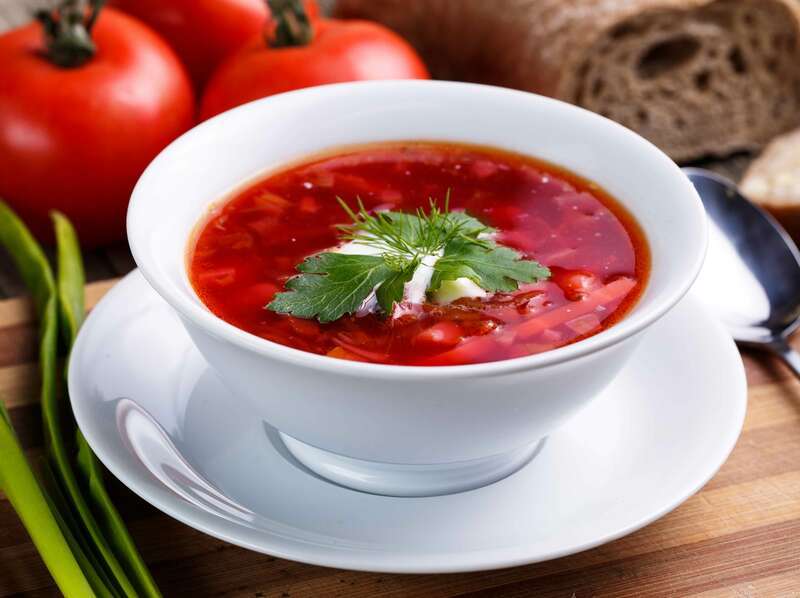 Charter a yacht, helicopter, etc – Rostov-on-Don is a coastal city, and what can be more pleasant than a dinner at the yacht? Our MeetnGreeters will do their best to find you the most affordable and comfortable option. Have a nice stay in Rostov-on-Don!